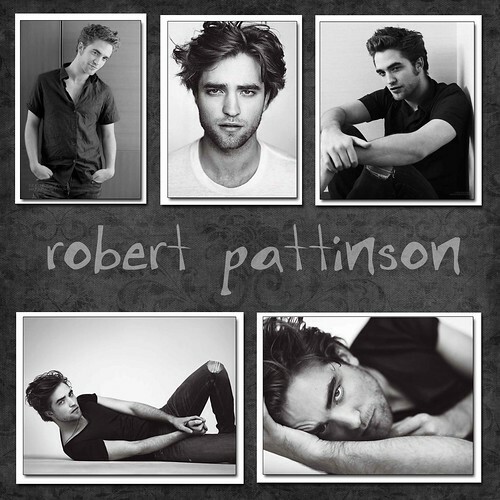 Yes, another layout dedicated to Robert Pattinson. There are very few photos of him that I actually like when he's not made up like Edward Cullen. The out-of-control hair doesn't do it for me. :-) But I wanted 2 layouts to show him as the actor and him as the character. These two pages will face each other in the album. I'm not sure yet if this will go in the Twilight section or the Misc section. It will depend on whether I do similar layouts for the other books, if the look of the character changes much. These were created with Photoshop Elements 5.0 using paper from from Elash's Edward kit. I can't believe I said this: "There are very few photos of him that I actually like when he's not made up like Edward Cullen." Fast forward a few months and I am obsessed with Robert Pattinson and have done a complete reversal! 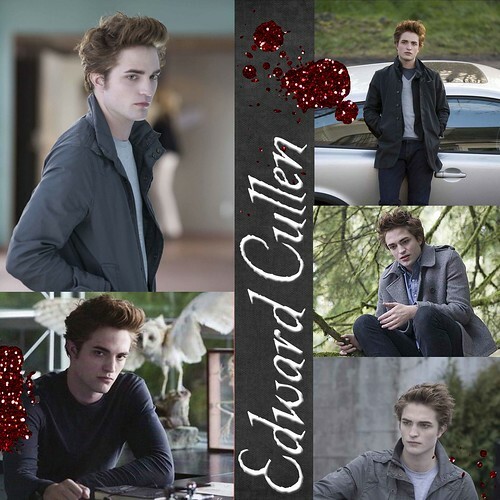 I still love him made up as Edward, but I think I like him more as himself, now!